Warriors were forced to settle for a losing-bonus point after a spirited comeback couldn’t prevent them from falling to a 21-15 defeat to Sale Sharks at the AJ Bell Stadium on Sunday afternoon. 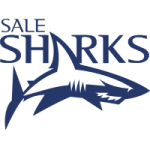 Sale led 18-0 at the interval courtesy of tries for Josh Beaumont and a Denny Solomona interception along with eight points from the boot of AJ MacGinty. But Warriors came out rejuvenated in the second-half with tries for Bryce Heem and Chris Pennell, as well as a penalty from Duncan Weir after a Jonny Arr try was chalked off. And despite a late barrage of pressure as Warriors searched tirelessly for the win, Sharks held on to secure four points. Sale got the upper hand early on as they enjoyed good field position in the Warriors 22 before MacGinty knocked over a penalty to open the scoring after seven minutes. The hosts dominated the early exchanges in terms of possession but Warriors stood up to the task until Sale managed to get over for the first try of the afternoon on the 20-minute mark. After continuing to knock on the door in the 22, and following some neat footwork out wide by Yarde, he shipped it to big man Beaumont to dive over in the corner. The hosts continued to mount the pressure and looked to have had their second try when Jono Ross powered for the whitewash but he was adjudged to have lost it forward and Warriors survived the scare. However, a few minutes later, Worcester were punished for an offside and MacGinty thrashed over a kick from 40 metres. Warriors were then presented with some rare ball in hand as they pressed for the 22 but England’s Solomona intercepted a pass to race all the way to the whitewash as Sharks went 18-0 up just before the break. In Warriors’ best spell of pressure in the dying moments of the first half, they went through a whopping 38 phases as they tried to batter their way over, before being pegged back and losing possession in Sharks’ 22 in a frustrating finish to the first period. Warriors looked a different side in the second half and opened their account when Arr sent Heem through after an onslaught of pressure by the tryline. Weir chipped over the extras and just moments later, Warriors thought they had a second when Arr looked to have grounded the ball at the foot of the posts. However, the ref ruled it out before bringing it back for a penalty and Weir kicked it over to reduce the deficit to eight. Sharks bit back with a MacGinty penalty but Warriors dragged themselves back into the contest as Josh Adams, on his 50th appearance for the Club, sent Pennell in down the right flank after more good build-up play to make it a six-point game. 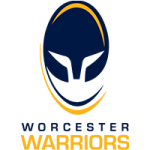 The final 20 proved to be nerve-jangling as Warriors caused headaches for the home side in their 22 before coughing it up while Sale also had a brilliant chance when Sam James ran through but Heem got back to smash the centre into touch as Worcester recovered. In the last couple of minutes, it was Warriors who had their tails up as they had the home support chewing their nails but a knock-on in the 22 ended hopes of a remarkable comeback, as they were forced to leave Manchester with a losing-bonus point. Next up for Alan Solomons’ side is Newcastle Falcons at Sixways on Saturday 15 September as they chase that all-important first win of the season.